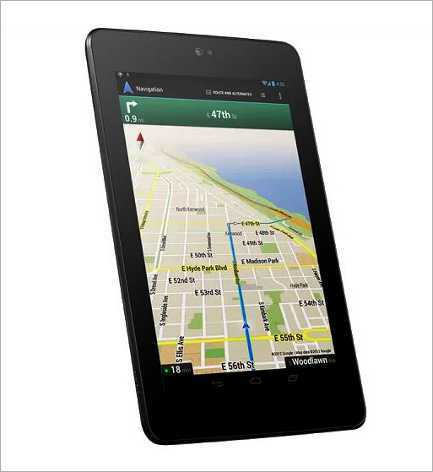 BizSugar Blog » Last Week to Win Nexus 7 in BizSugar Sweetest Member Contest! Last Week to Win Nexus 7 in BizSugar Sweetest Member Contest! It’s the last week to win a Nexus 7 (2012 edition) in the BizSugar Sweetest Member Contest. You have until the end of the day Friday to submit, vote on and comment on enough BizSugar content to qualify for the prize. Be sure to contribute throughout the week for your chance to win. Join: Create a BizSugar account, if you haven’t done so already. It’s free and takes just minutes to complete. Vote: Give some love to the small business content you find most helpful or most inspiring on the BizSugar community. Voting helps others see what content you’ve found useful so they can check it out themselves. Comment: Thoughtful and interesting comments are another important component on which BizSugar’s Sweetest Member is judged. Make lots of them on content you find the most compelling. And don’t forget to respond to others’ comments on your content too. Submit Content: Whether from your own or from someone else’s blog, great content submission is part of what makes a great contributor. If you want to get a better idea of just what makes great BizSugar content, simply check out our submission guidelines. Make sure the content you’re sharing meets them. The contributor with the largest combined number of submissions, votes and comments by the end of the week will receive the Nexus 7 as a prize. Winners thus far in the BizSugar Sweetest Member Contest include Ivan Widjaya and Daniel Zeevi. Widjaya was our Sweetest Member winner for the week of July 15. He is receiving a $25 Amazon gift card. Zeevi was our winner the week of July 22. He won a Dropcam, a high definition WiFi video camera with remote viewing and two way sound for installation in business or home. Dropcam is also the sponsor of the BizSugar Sweetest Member Contest. Who: Active BizSugar community members. How: Quality participation including the most quality comments and submissions for the week and voting on the best contributions from other members gives you the opportunity to win. (Activity by members using the anonymous sugar cube avatar will not be considered, so please be sure to have an avatar image in your profile). Prize: Our winner this week receives a free Nexus 7 (2012 edition), a $249 value. Contest results will be announced the week of August 12. Congrats to Ivan Widjaya who is the winner of our final BizSugar Sweetest Member prize. Ivan was judged to be the most active member of the BizSugar community over the last two weeks and will receive the Nexus 7 (2012 edition). Thanks to our wonderful sponsor Dropcam for their support of the contest. 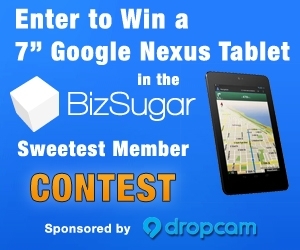 ← Win A Nexus 7 in BizSugar’s Sweetest Member Contest!